Generally society has a tendency of looking at street kids in a negative way – that they are a bunch of good for nothing hoodlums! We take it as our solemn responsibility to challenge and change this mindset. First and foremost, it is important for one to realize that there are a number of “pulling and pushing” factors that force the kids to end up on the streets. While the HIV/AIDS pandemic may be the paramount reason as to why there are so many children living on our streets today, there are also some other reasons that contribute to this problem such as broken homes, abuse, poverty and the perceived freedom on the streets. 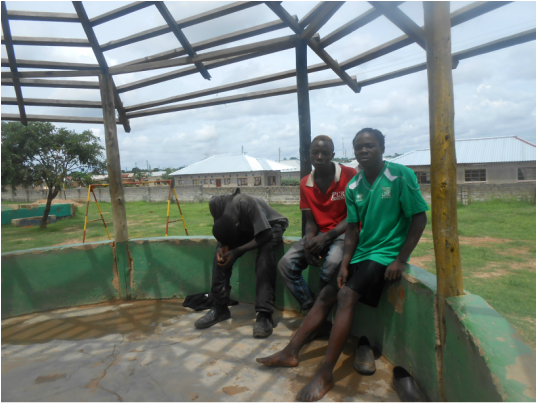 Beautiful Gate Zambia is dedicated to help address the problem of street kids in Zambia. We conduct street outreach once a week; each day we’d gather about 65 kids at a sports arena in the city. Our short term objective is to build relationships with street children by engaging them in sports activities and discussions. This way we are able to earn their trust and confidence and hence be in a position to walk them through the path of reformation e.g. encouraging them to refrain from illicit activities such as crime, alcohol and drug abuse. Our long term goal is to re-integrate the street kids back into society by either reconnecting them with their families or connecting them to organizations providing residential care. Admittedly changing the mindset of street kids is quite challenging; so far we have managed to rehabilitate 25 children, and 6 more are undergoing vocational training at our school. Some of the training programmes we run include practical skills such as carpentry, welding, tailoring and design etc.